I recently followed a link to a blog where the relative insanity of knitting cakes and pies was being pondered on. Well, she does have a point, it is a slightly bizarre thing to create but then so many things are bizarre these days and at least they're too soft to be used as a dangerous weapon. A couple of people have asked me why I knit cakes and I suppose the simple answer is that it's fun and people want them.The first ones I made were a bit ropey and it took many different attempts to get the shaping as I wanted it but it was satisfying being able to finally produce something that looked like the vision I'd had in my mind. The nice thing is that the design is still evolving and so it never gets boring to me. I was totting up the other day and I've actually made over 250 in the last 5 years! Anyway reading the post that questioned why anyone would possibly want to make knitted cakes made me remember something I made last year and co-incidentally it is the right time of year to be showing these. 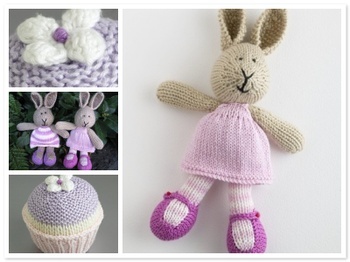 There, if you want to ponder the real insanity behind knitted objects then get an eye-full of these babies! 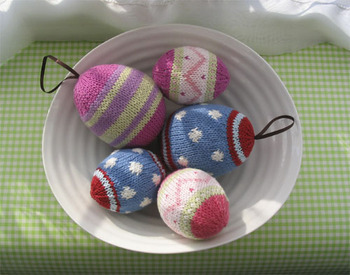 Although I'm fairly happy with the pattern I never went into production on these because I couldn't see anyone really wanting a knitted Easter egg (chocolate ones are infinitely preferable in my opinion). But sometimes it's just nice to have the challenge of making something you've not made before and creating anything from scratch is, well, life affirming. Something the elderly people who created this knitted room would definitely understand. Anyway, the Easter school break is upon us (arggggggg!!) I'll be out of the loop for the next 2 weeks, will try and keep up with any emails but be patient with me! See on you the other side of the abyss! Just a quickie today to congratulate friends on the birth of little Sonny. 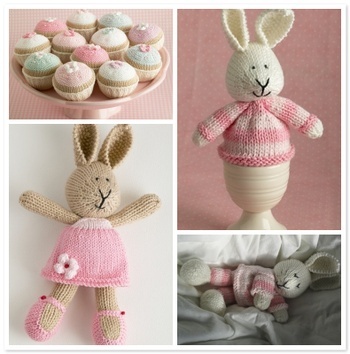 This little bunny will be hopping along for a nice newborn cuddle! I've now had deliveries every week for the last 5 weeks and I am a convert. 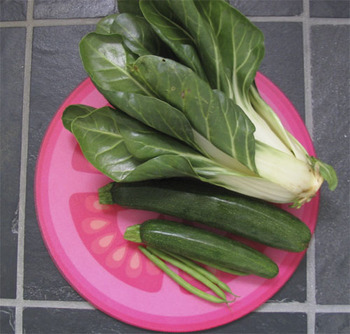 After being used to sanitised veggies, marshalled in perfect little rows in plastic trays and swaddled in layers of clingfilm it took a little getting used to a box full of mixed and slightly-muddied produce but now I quite like it - I just store them dirty and wash them before use. The nice thing is that you know what you're getting and can substitute things you don't like. 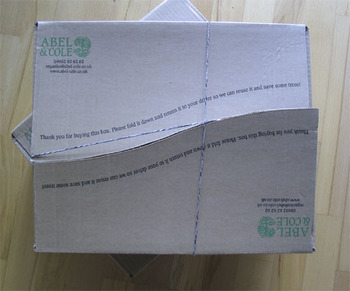 You can also order single extra items either as one-off orders or weekly. The day my delivery arrives on is now known as chopping day. 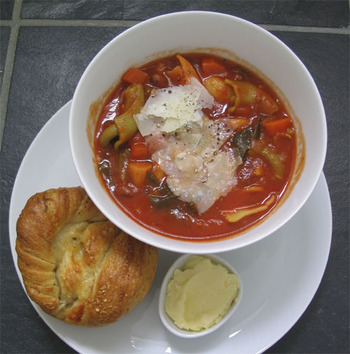 This week I've cooked up a big vat of minestrone soup with the goodies from this week's box - Swiss Chard, carrots, jerusalem artichokes, potatoes and courgettes. I'm certain that these veggies taste so much nicer than those I was previously buying from half way across the world and it's making me try new veg (have never cooked with jerusalem artichokes before!). 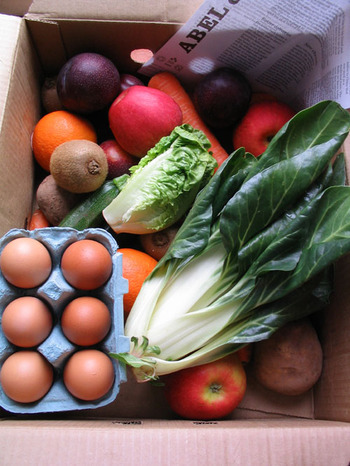 If you are looking for organic food that is affordable, ethical and delicious please check them out - I'd certainly recommend them. and this is last weeks. Whilst we're on the subject of flickr groups, the finalists have now been chosen for the Softie Awards. 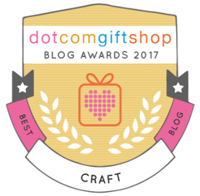 If you have a minute please pop over and vote for the wonderful monster made by Raspberry - we're all hoping she'll win the creepy yet cute category. Good luck Alice! 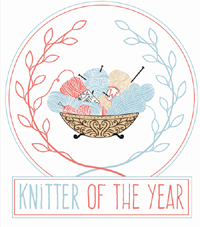 calling all knitters and stitchers! "Just imagine Doctors prescribing a dose of stitching twice a day! 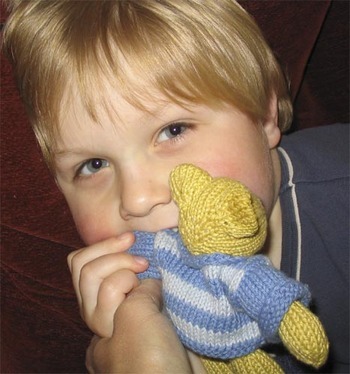 "Impossible" we can hear you say, but I think, through our research, knitting and stitching could form the basis of significant therapies in the not too distant future." 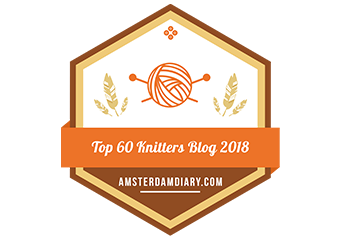 She already has many interesting personal accounts of how knitting has helped to overcome illness, depression and many other similar challenges. 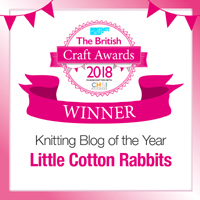 Her website is called Stitchlinks and she's asked me to ask you to get in touch if you, or anyone you know can contribute, so please drop by and add your story. PS: as you can see Toby has thoroughly tested the chewiness of little cotton rabbits products - they passed with flying colours! Remember that Debbie Bliss Cotton Angora yarn I snagged in a sale last week? 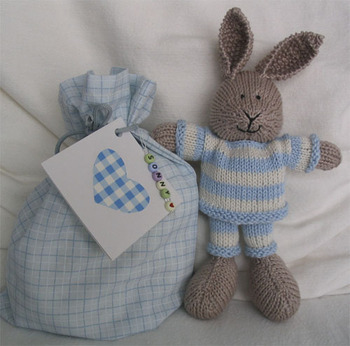 Well I couldn't resist it any longer - it's so beautifully soft that it was just begging to be made into (yes, you've guessed it) a rabbit! 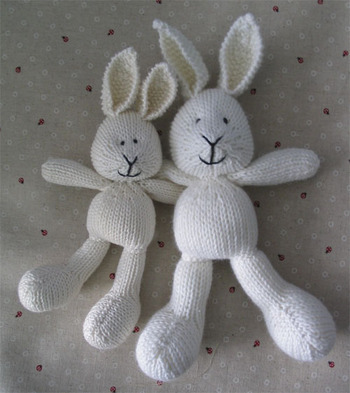 The nice thing about it though is that it's more of an aran weight yarn and so with a few tweaks to the pattern I now have a supersize bunny (pictured here with a regular sized one). The larger bunny is a shade under 12 inches tall (30cm) and I've got some gorgeous Rowan Summer Tweed (80% cotton, 20% silk) lined up for more big bunnies. 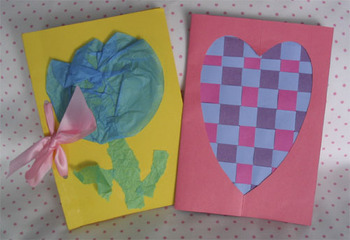 Couldn't finish up today without showing you the wonderful mother's day cards I got - I suspect that Toby had just a little help (ok, a lot of help!) but Amy's was all her own work - they'll be going in my 'special things' drawer which is already pretty full of her lovely artwork! I also got a lovely pressie - kitty craft fabrics!! !